The deal will see the merchanting and DIY group enhance its estate of large-format Selco branches with the addition of Leyland’s ‘small-box’ style convenience outlets across central London. Grafton Group, which has operations in the UK, Ireland, the Netherlands and Belgium, including the Woodies and Selco chains, has acquired the entire issued share capital of London's largest independent specialist decorators' merchant, LSDM Limited. The total consideration payable by the Group is £82.4million on a debt-free, cash-free basis and will be funded from the Group's cash and debt facilities. 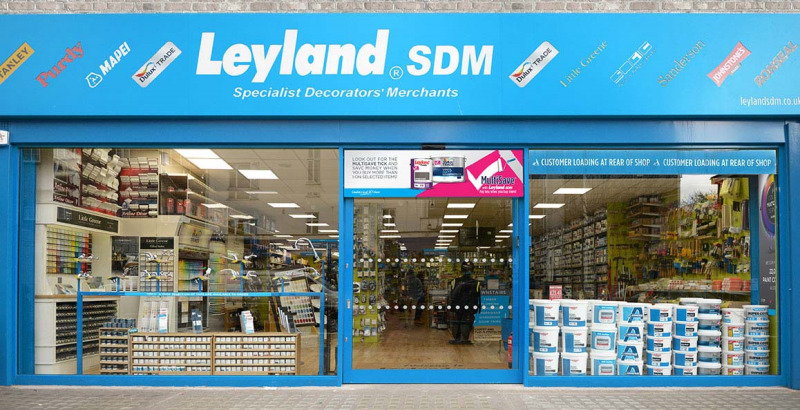 Leyland SDM serves both trade professionals and DIY customers across London, selling paint, tools, ironmongery and accessories across its 21-strong network of stores. Its portfolio includes predominantly high street stores, situated in some of London's most prominent locations including King's Road Chelsea, High Street Kensington, Shaftesbury Avenue, Victoria, Clerkenwell, and Notting Hill. In the last two years, it has further expanded its footprint with four new stores opened in Battersea, Mile End, Clapham High Street and Putney as well as opening a new Distribution Centre at Wembley. Grafton intends that the Leyland SDM "small box" convenience trading format – which it describes as “a proven business model” in Central London will complement its larger Selco branches located in Greater London. Leyland SDM posted revenue and underlying EBITA of £47.8 million and £7.3 million respectively for the year ended December 31, 2017. Gross assets are estimated at circa £10million at completion.